My name is AImee Schwartz and I am the Academic Interventionist at Davisburg Elementary. Davisburg Elementary is part of Holly Area Schools. We are located in northern Oakland County, Michigan. Prior to my work as an interventionist I was a classroom teacher in grades 2-4. This past week I attended a Leadership Day at a school in a neighboring district. We all know that when we know that guests are coming we pull out all of the stops and are ready to shine! We were able to tour the building and I happened to land in a third grade classroom. I wasn’t surprised because third graders are “my people”. I made sure that I spend time listening to the presentations that these very eager eight year olds were ready to share. They were so proud and I could tell that the teacher has worked really hard to get her students “visitor ready”. I wanted to let the teacher know how much I enjoyed being in her classroom and was amazed by her students. I sent her this quick email and what happened next shocked me. Hi Aimee, I was so happy to read your email! I’ve never received one from one of our “Leadership” visitors before. This is one I will keep and read over to make me smile for the rest of the year- you know how it goes. I will pass your compliment on to Kayleigh and you are right about her. With all of our work (and stress) that goes into every school day, it’s wonderful to know that our efforts noticed and are paying off! Thank you and you have a great week too! This prompted a conversation with some colleagues about the idea of sending a formal “Thank You” as a way to share your gratitude. Sure, these days we send an email or spring for the cost of a notecard and a stamp and do it the old-fashioned way. Is it a lost art? Will our younger digital generation carry on the written tradition of a card? So this is a Big Blue Challenge: Who can you thank? Will your “Thank You” make someone smile? Who is missing that “Thank You” in their life? 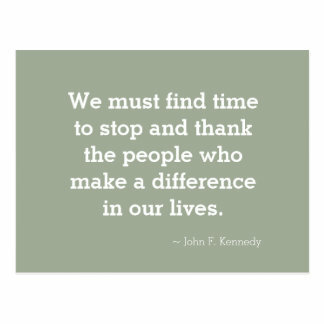 Thank someone who makes a difference. It just takes a minute to make their day! I laugh every time I get this question from kids, which is almost daily. We might be in the middle of a really tricky text and someone asks it. The question. This one really baffles them. It feels a little Wayside School “-ish” to me. Do they think there is this large group of students in a secret classroom in the school? I always tell them, YOU are my class, I just see a lot of classes in one day. After establishing that and thinking that we are all good, they hit me with another. Recently my students benefited from a grant received from The Holly Education Foundation for Ergo Ergo stools. With the help of some of the kiddos, we researched the different sizes and cost of the stools. After much deliberation(and measuring) we decided to go with the size of the secondary stool as it sits a bit taller and fits my big kids perfectly. With our grant money we were able to order two stools. It is a start! Thank you to the Holly Education Foundation for supporting our Davisburg learners, and thank you to @denisekott for making my group of 4 readers really happy! By nature I am a pretty conservative person. I intentionally work to push myself outside of what I think is my comfort zone(hello, I did a Polar Plunge over the weekend). There have been two things that have pushed me out of my comfort zone as an educator that I would not trade for anything and I want to share them with you today. Co-Teaching: This year was probably one of my best years of teaching ever. It was also the most challenging. The most frustrating. The most eye-opening. The most rewarding. We were positioned one year with the ability to have a co-taught classroom with myself and my friend who is a special educator. It was the first time that I had to share my space with another adult. We managed to make it work, had a few hiccups and collisions along the way. And I wouldn’t trade it for anything. I saw first hand differentiation at its finest. I saw and truly understood how not all students learn the same. I learned that it is okay to try 1,000 ways to get there and it is okay to take the time if you need it. I knew all of these things, but you never fully understand it until you feel it in action. This class of students grew so much that year. Some of them even looped to the next grade with us. We grew together. I will always treasure that. What I Do Now: There are so many layers to this work that I cannot even begin to express it. It is so much different from the work of a classroom teacher, not harder work, just different. I never would have thought that having a small group of 4 or 5 students over a 30 minute time span would challenge me so much as an educator. That 30 minute time block is precious time. Precious to me, and precious to the learner. The things that you realize about learners as individuals that likely would blend easily in the bigger pond, are vulnerable and out there in the open. I am blown away on a daily basis that these kids ask me about words. Things that I might have assumed that they understood in a larger classroom setting, are revealed in these small groups. And they are comfortable letting you know what they don’t know and understand. Plus we form some pretty awesome relationships along the way. What pushes you out of your comfort zone? So I chimed in, “What should Miss Schwartz be when she grows up?” After a quizzical look (probably thinking geez lady you are already a grown up) I had two suggestions offered. One was a veterinarian. Not bad, I like animals. The other little person felt that I should just stay home. Not sure how I feel about that last one. Do they think I should retire? Or that I have worked hard all these years and I should rest? Oh these first graders! So silly! Today was a HUGE day! At least I think it was. Today was a district professional development day. We were fortunate to have a large chunk of time together as a building staff on this very rainy Michigan morning following a long weekend. And boy did we jump in with both feet. One of the things that I always try to keep in the forefront of my mind when it comes to teaching and learning is, “Am I Doing The Right Work?” One of the many parts to this work is understanding exactly what the work is. And by “work” today I mean standards. What exactly are the standards that my students need to learn? Where are they in my teaching materials? Are they in my teaching materials? If they are not, what am I going to do about that? What do the standards in the grade before me look like? And where are students going after they leave me? Am I getting them there the best way possible?Having and understanding that global view is priceless. So we began this exact work today. Together. Looking at the learning progression of just one part of one strand allowed us to frame our minds for “the right work” and the “right direction”. And it got messy. The best kind of messy. The kind of messy that makes you take deep breaths, sigh, walk away, come back, and challenge each other. The good work. The right work. Kind of ironic that it was a muddy Tuesday. This was the picture that I shared with the staff at the end of our standards analysis. The right work gets messy before it gets pretty. To quote the book Holes, “The first hole is the hardest.” Start digging!